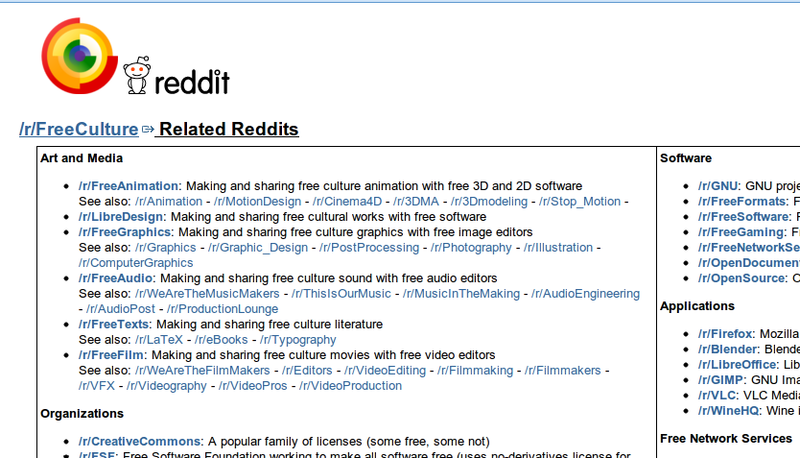 Redditor TheSilentNumber has made a pretty nice list of free software and free culture related Reddits. 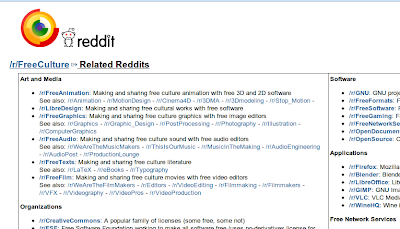 If you are a free/open source software and free culture supporter then you should definitely see this. Just visit this page and join your favorite pages in one click.